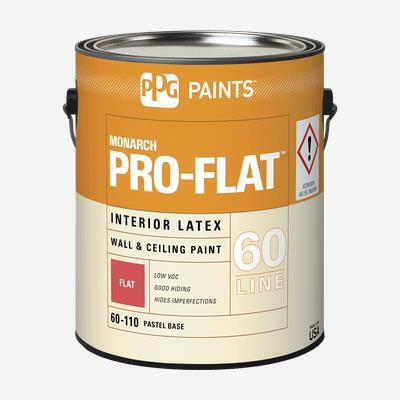 MONARCH® PRO-FLAT™ Interior Latex Wall Paint is an excellent professional quality interior flat latex wall paint designed with very low sheen to minimize substrate flaws. It is used for new or previously painted commercial, institutional and residential walls and ceilings. MONARCH® PRO-FLAT™ Latex Interior Wall Paint is designed for use where application speed and good quality are necessary.